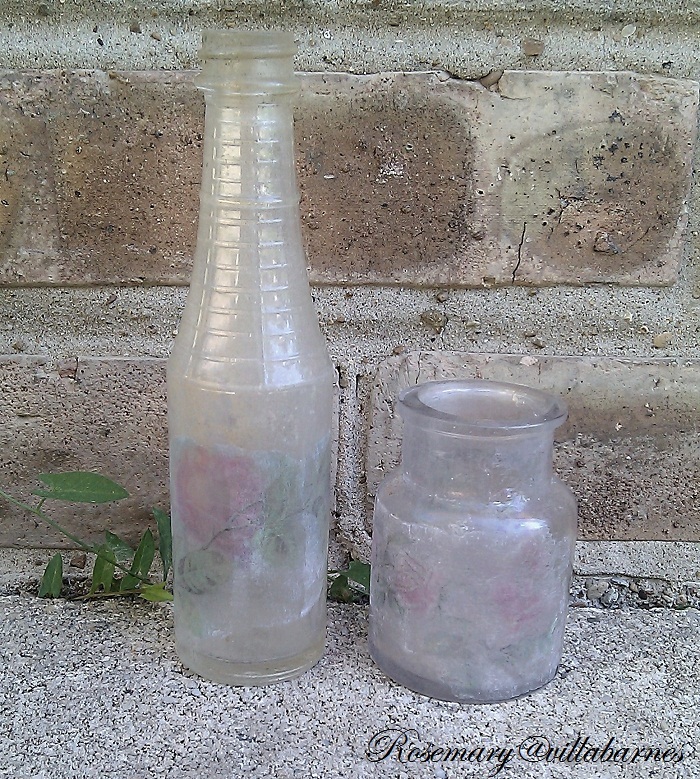 Yesterday, I spent a good part of the day making my "Faded Rose" bottles. I've sold quite a few, and I have requests. 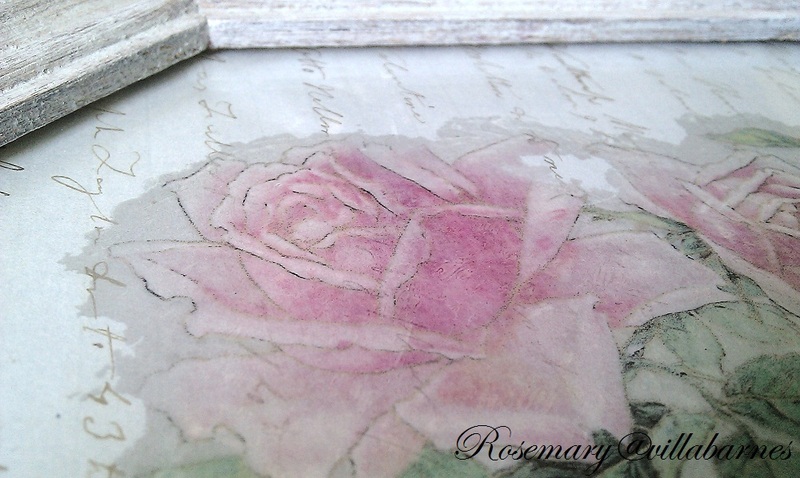 Now, I'm adding to my faded rose redesigns. 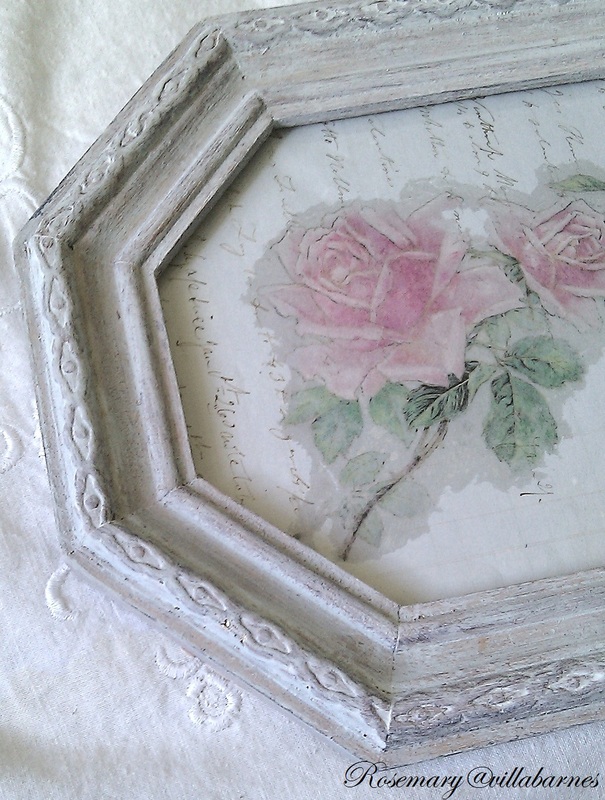 I used the same technique on the glass, backed it with vintage pale blue ledger paper, and gave the gold frame my "Old World" finish. It's like a reverse painting. 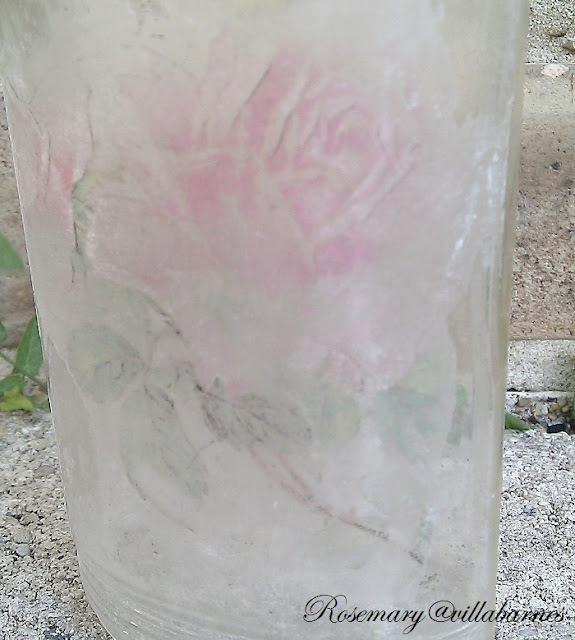 The image is on the back of the glass. 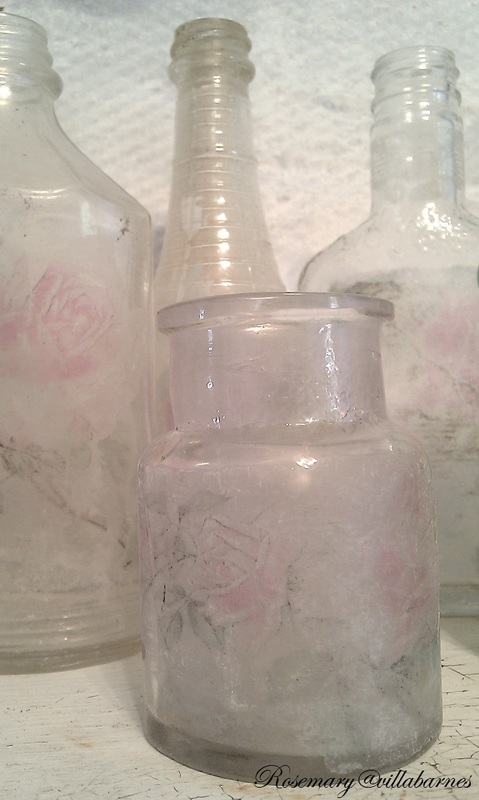 Well, I have orders to fill, two shows to get ready for, and more faded rose bottles to make. Love these Old world Rose bottles and framed art too! you are so talented and creative. I love the frame. superb! Your bottles are gorgeous. I love the frame one too!!! Rosemary, these are all just gorgeous! The framed one in particular is really lovely! I didn't think you could improve on this design, but the added text with the rose looks dreamy! Wow you are busy, but that is easy to see by all the beautiful work you do. 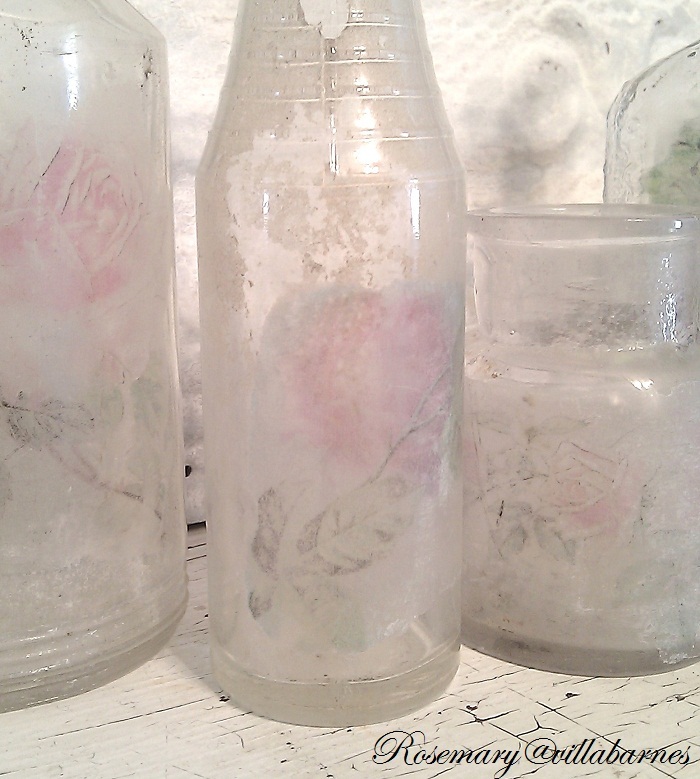 The bottles are gorgeous nice and soft and Old World. I love the framed are too!! Another beautiful creation! It reminds me of my "Paris Tray" that I made with vintage, Paris post cards and french fabric underneath the glass. It's a great way to camouflage the scratched up glass! 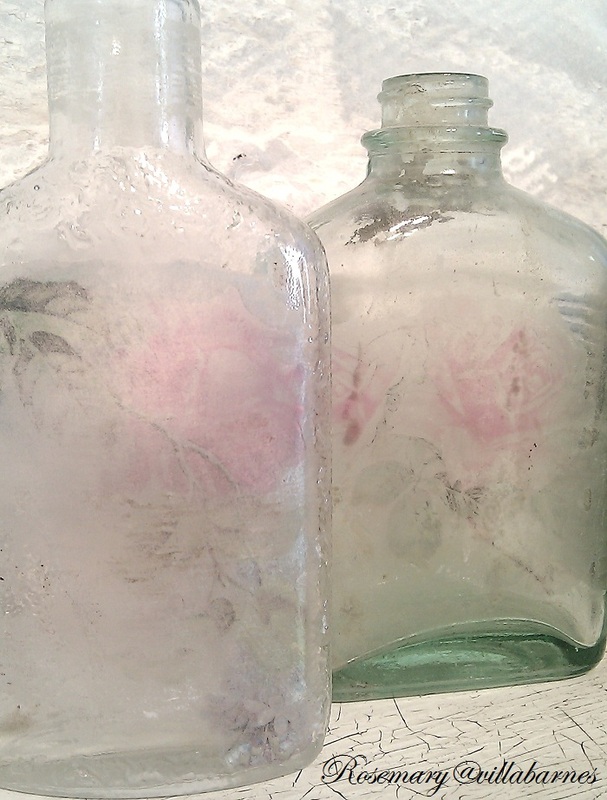 Love the subtle beauty of the roses on the bottles...just beautiful...wonderful, wonderful job again Rosemary! 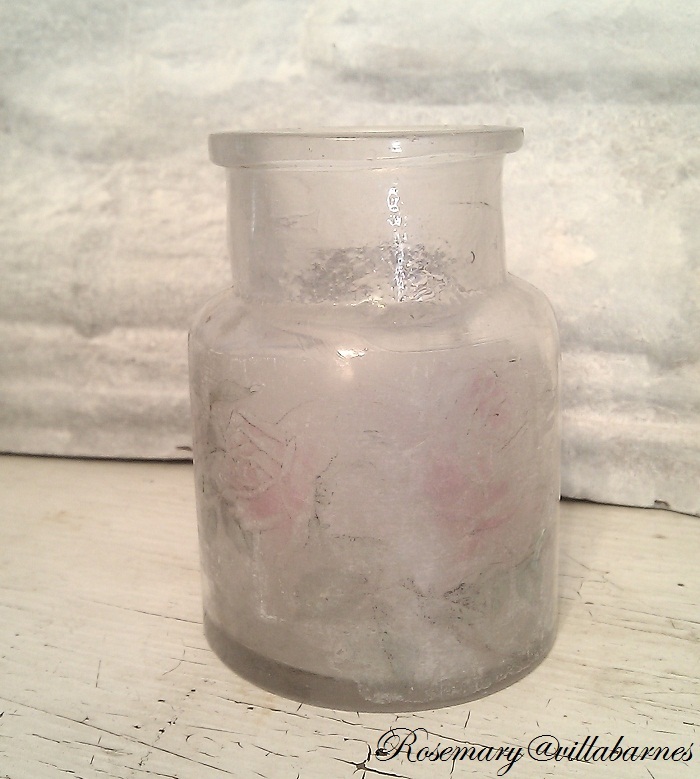 I just started a blog and found you through Courtney/French Country Cottage. Your blog is beautiful and I am your newest follower. WOW---more fantabulous art!! I'm in awe of your creativity!! Blessings! Oh Rosemary....I just adore this new technique! 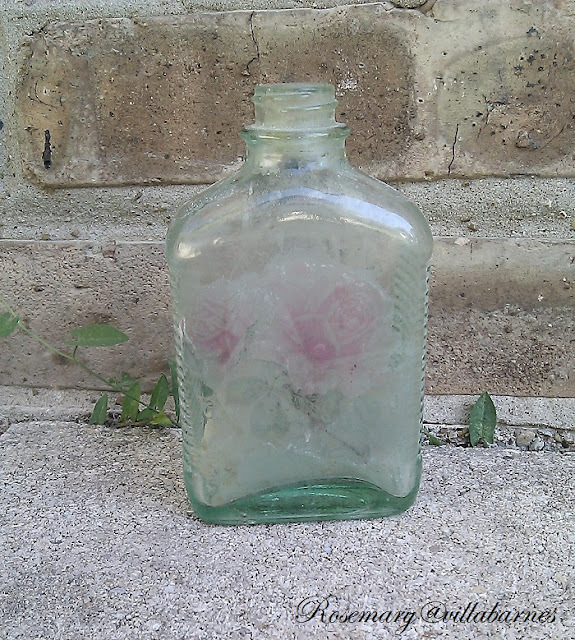 I'm reeeeally adoring that short, sweet little bottle you did, and would love to buy one (if Anne doesn't get to it first. lol!) Will you be making more of them? 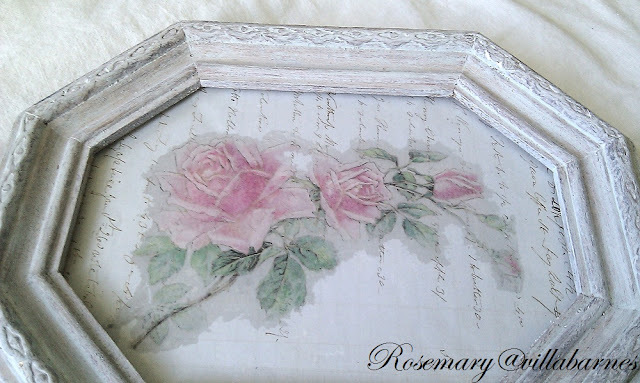 Oh my goodness Rosemary I just pretty much adore everything that you do!! You are such a genus do you ever get tired of us bragging on your work? So very pretty Rosemary. 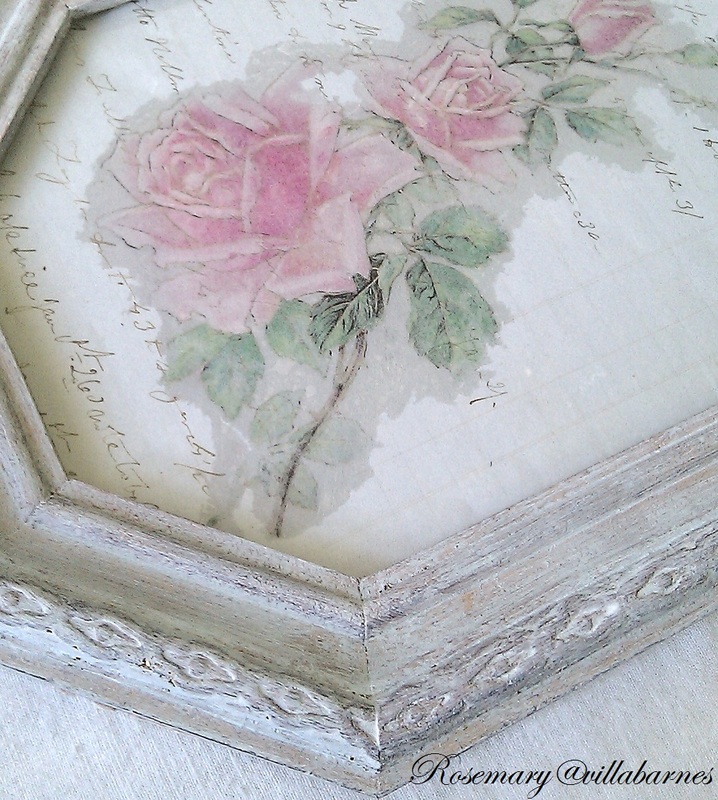 The framed rose is so beautiful. Did you do a tutorial on these gorgeous bottles???? Did I miss it???? If not will you do one PLEASE!!!! They are beautiful. Those faded roses are just gorgeous Rosemary! I can see why you're getting lots of requests on those bottles. They are so delicate and soft looking. Good luck on your shows this weekend. Keep inspiring the beauty within. 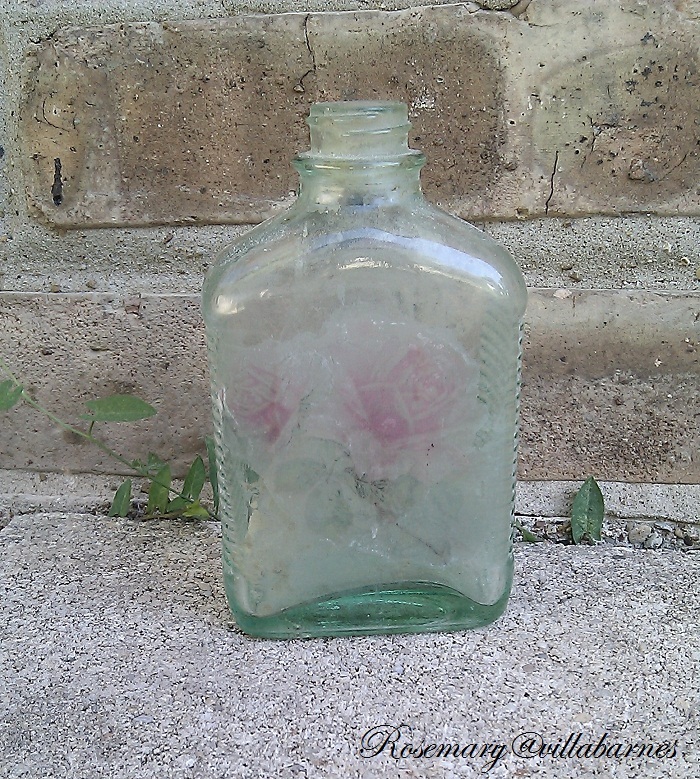 Your bottles and pictures are so soft and sweet. Romantic beyond compare. 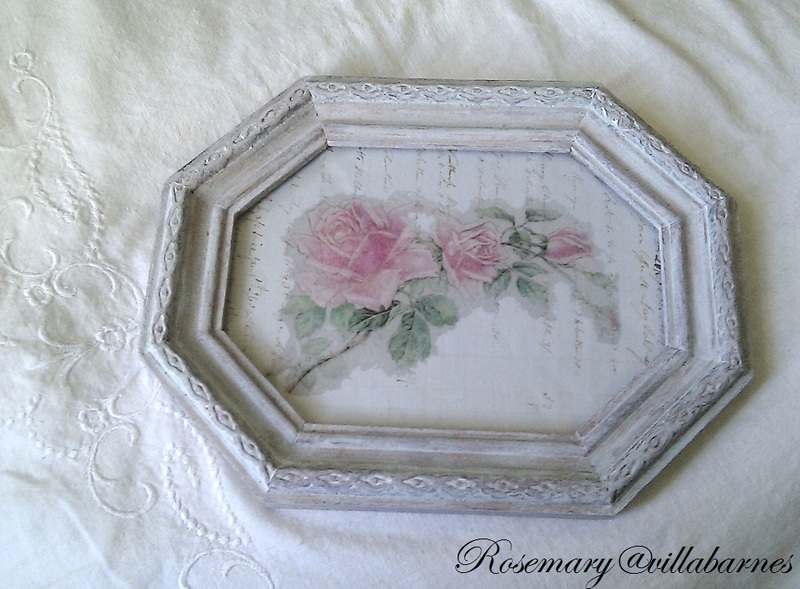 Wow, Rosemary, you keep on making the most wonderful stuff! I have a lot of blogs I follow, but I always come back to have a peek at yours and there is always something good to see.